A general guide for horse handling for new owners – a post from the Healthy Hoof blog. At Barn World, we offer a lot of great livestock products and everything from cattle guards, hay feeders, feed bins and saddle pads. When discussing the large array of available products with customers, we sometimes lose sight of the fact that a lot of our customers are new to caring for and interacting with livestock, horses and poultry. As such, I thought I’d include some general posts for those who are new to caring for and owning animals. If you’d like to share your ideas or comments please feel free and you may always contact Barn World at Sales@BarnWorld.com or call 720-238-2190. Recently I came across a good general information blog post from the Healthy Hoof. It’s a general post, but provides a great initial outline and tips for interacting with your horse. Even in today’s economy (or maybe because of it), new horse owners pop up every day. An inexperienced client will often purchase an inexperienced horse. It can be a challenge to teach both owner and horse techniques that ensure the safety and cooperation for everyone involved, but also very rewarding to be able to start with a “fresh” owner and essentially create the perfect client/professional relationship. Did you know that farriers interact with more horses than veterinarians, and even horse trainers? Due to the cyclical nature of hoof care, and horses’ impeccable memories, it is beneficial for me as a hoof care professional to form trusting relationships with my clients’ horses. Horses remember positive and negative experiences, and negative experiences can never be completely erased. This is one reason it is imperative that horse owners choose their hoof care professionals carefully. I’ve put together a list of basic horse handling techniques below, with a focus on holding a horse for a farrier or trimmer. Many of the techniques also apply to holding your horse for the veterinarian or other equine professionals. These techniques are based on logic, common sense, and my own experiences as a hoof care professional. It is my hope that these tips will help prevent some foreseeable accidents and possibly save some lives. Use appropriate and properly fitted tack. I prefer a rope halter with at least a 12 foot lead. A longer lead may be necessary for a young or green horse, because it can be used to move the horse around should groundwork training come into play. A rope halter is gentle, but uncomfortable if a horse leans into it, unlike standard wide nylon or leather halters. Rope halters are especially effective when working with pushy horses. Ask your horse to focus on the task at hand. Encourage him to relax by petting him softly (but not with a brush in the middle of shedding season!). Do not distract your horse with treats or hay, because he may forget that someone is handling his hooves. Feeding horses also causes body weight to shift a lot (especially if they are reaching for a treat), which makes it difficult for your farrier to balance under him. Treats are okay as rewards for good behavior, but the timing must be right. If a horse misbehaves, correct it, but give warning to your farrier beforehand. One of the most effective maneuvers for correcting a horse is backing him up – with energy. This does not mean pushing him back with all of your strength, but asking/insisting that the horse back up with your body language. Pushy, dominant, or spoiled horses can be taken down a notch or two by using this technique. It also redirects the horse’s focus back to you and your farrier. When working on front feet, stand on the opposite side of the horse’s head, facing your farrier and horse at a 45-degree angle. If you stand facing your horse, your farrier may have difficulty maneuvering around you, or you could be struck by an overly exuberant horse. Stand in a position where you are able to observe your horse’s body language and warn your farrier of behavior that may indicate a dangerous situation. Be aware of the surroundings, and keep children and pets away from the work area. When working on hind feet, stand on the same side of the horse as your farrier. Keep the horse’s head slightly tilted towards you so that he can see you and your farrier easily. Keep your horse from turning his head the opposite direction as this will shift his weight onto the hind foot that is off the ground. Your farrier’s back will thank you for this! When walking or trotting out your horse for gait analysis, keep your horse on a loose lead. Avoid pulling on your horse’s head as it affects his weight distribution and gait. Give your horse at least 3 feet of lead rope. Teach your horse to trot with you as the trot is a common gait used for identifying lameness and gait abnormalities. A flat, smooth surface where the horse can be walked or trotted in a straight line or circle is desirable in these situations. I hope this information will prove beneficial for horse owners and equine health professionals. Please feel free to post additional tips as comments, and share/print this article as long as it is credited/linked back to this site. Remember that Barn World is more then livestock supplies and cattle guards! Visit www.barnworld.com today for all you horse and rider equine tack needs and check out our large selection of cattle guards too. Saddle Pads from 5 Star Equine! 1/2″ Under Pad Great for showing, reining, cutting or pleasure horses when you still need protection yet want to put a colorful blanket over the under pad for show purposes. 3/4″ Regular Pad An excellent all-around pad for those that need a daily exercise training pad and may also need to throw a blanket over for the show ring. 7/8″ Thick Pad The best all-around use pad recommended for trail riding, team penning, cutting, reining, and barrel racing. We can also cut the 3/4″ and 7/8″ pad in a 28″ length for barrel racing saddles. 1″ Extra Thick Pad Designed wih ranch work in mind, for roping, performance, colt starting or heading to the mountains with lots of gear. 1-1/8″ Supreme Roper PadSpecially engineered for team roping, calf roping, steer stopping and peformance. Visit BarnWorld.com today for all your saddle pads, equine supplies, livestock equipment and farm and ranch equipment needs. The 2010 Designer Collection from Davis is a great way to liven up your splint boots, bell boots and head bumpers in style. The Davis products have consistently been forerunners in durability and easy maintenance and their new designer line is no exception. Through the development of a PVC impregnated fabric process, we are able to provide the same durable and easy clean surface as all other Davis products. The Davis designer line series is available in the Head Bumper, Splint Boot and No-Turn Bell Boot only. Each item features their original product characteristics with the addition of the easy-clean PVC impregnated fabric surface. BarnWorld also offers 5 Star Equine saddle pads with zebra stripes and giraffe print leathers. We also have horse splint boots and no-turn bell boots in zebra patterns. They are the latest addition to the fashion for horses of designer, glitter and neon colors. Barnworld has a great selection of wool saddle pads, sheepskin saddle pads, cinchas, breastcollars, horse boots, jumping boots, head bumpers, jowl sweats, tail wraps and dressage cones. Visit our website at www.BarnWorld.com for the latest selection and all your equine equipment needs. It’s time to organize your tack room! Have you put off the spring cleaning your tack room desperately needs? You can easily get organized with the great tack products from Barn World. We also carry a wide selection of saddle racks for getting your saddles off the floor or shelves and keep them from getting marked up while mixed up with your other tack. 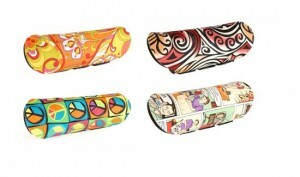 We even have a selection of the popular adjustable saddle rack! Too many bridles getting tangled up and marked up while shuffled around in your tack room? Try keeping them neat and organized with our bridle racks. For saddle blankets, we offer saddle blanket racks. The saddle blanket rack and saddle pad rack offer many options for organizing your tack room. For all of your tack room organizing needs, Barn World can help. Visit our website at BarnWorld.com today to view our wide selection of tack room, farm and ranch supplies, and livestock supplies. Barnworld now offers 5 Star Equine saddle pads with zebra stripes and giraffe print leathers. 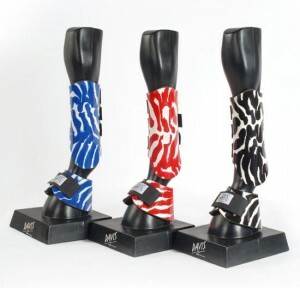 We also have horse splint boots and no-turn bell boots in zebra patterns. They are the latest addition to the fashion for horses of designer, glitter and neon colors. Barnworld has a great selection of wool saddle pads, sheepskin saddle pads, cinchas, breastcollars, horse boots, jumping boots, head bumpers, jowl sweats, tail wraps and dressage cones. Visit our website at http://www.Barnworld.com for the latest selection.